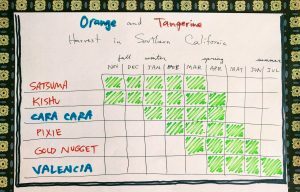 A friend asked me how to know when to pick the tangerines from his tree. My first thought was, it’s obvious, you pick them when they taste good. But then I remembered that for some people gardening is full of rights and wrongs; he was afraid there was a correct or incorrect time to pick his tangerines. “Are the fruit mostly orange?” I asked. We had been surfing during that terse exchange, but we don’t have to shout in between waves here. So let’s get nuanced, botanical, even maybe philosophical. 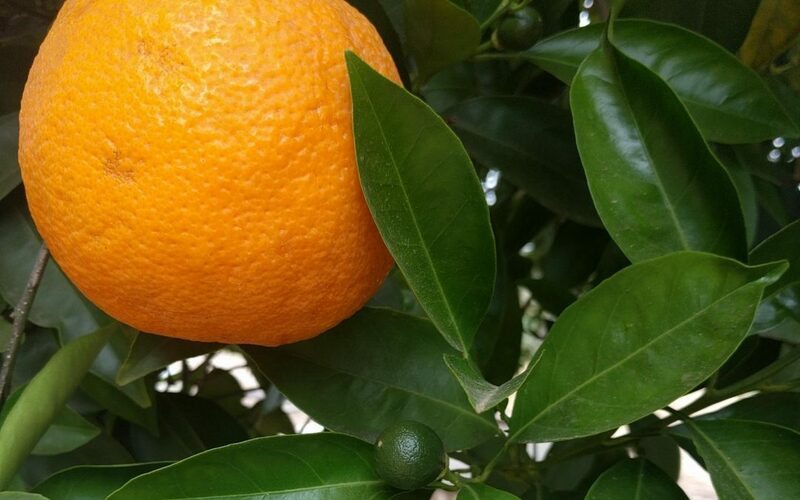 Part of the maturing process of oranges and tangerines in Southern California is that they eventually fade their rind color from green to orange. No sweet oranges or tangerines that I know of will be ripe in our climate before they’ve turned orange. So once they’ve changed color, you can consider giving them a pick and taste. However, it’s true that some varieties turn orange long before they taste sweet. Take the Gold Nugget mandarin, for example. It’s a “late-season” mandarin. Here is a photo I took of my tree on January 15. Orange fruit: they look ready. But they were still pretty sour on this date. Gold Nuggets from this tree don’t taste sweet until March at the earliest. So the rind color is something of an indicator of maturity, but its not directly linked to how sweet the inside is. 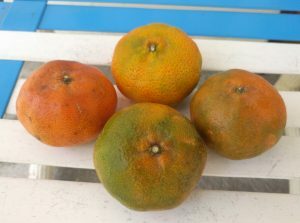 What causes the rind to turn orange, then, if not overall fruit maturity? Let me show you some “mandarinas” that I bought on a recent trip to Costa Rica. Our oranges and mandarins taste better too, in my opinion; they have more citrus tang whereas I find the tropical fruit insipid. Taste is subjective, of course. Yet taste is the only conclusive test of whether or not it’s time for you to pick the oranges and tangerines from your tree. 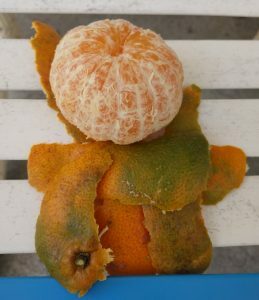 My friend said he’d picked some of his tangerines and they’d tasted fine. I told him it was time to pick them then. The right time to harvest is whenever they taste good — to you. Or your wife. My wife likes her citrus tart. I pick them for her at least a month before I start picking for myself. Oranges and tangerines get sweeter the longer they hang on the tree. 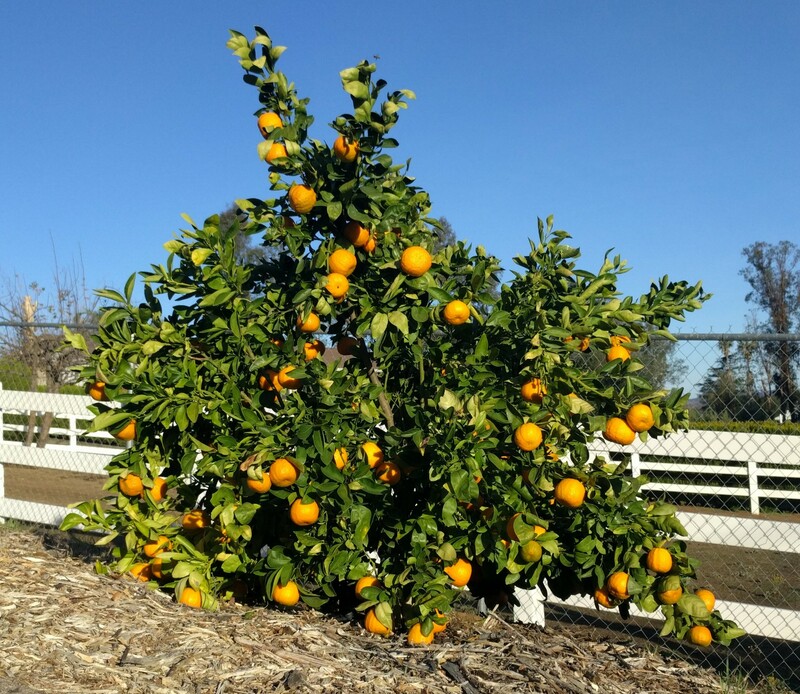 Here is how an orange or tangerine grows: In the late winter or spring, the tree flowers. Small green fruitlets form and enlarge through the summer. In the late fall, they start to change from green to yellow to orange — each variety on a slightly different schedule, and each variety a slightly different hue, ultimately. But it’s the chilly nights of November that coincide with maturing fruit to transform the rind color from green to orange, and it so happens that in the late fall the earliest of tangerine varieties also start tasting sweet. (Think Satsuma and Kishu.) Some others, however, remain tart until the spring (a full year of growing on the tree). Valencia oranges take so long to sweeten that there are two generations of fruit on the tree simultaneously, as you can see in the photo at the top of the page. As I said, all oranges and tangerines get sweeter the longer they remain on the tree so if you taste one and it’s more acidic than you like, give the others more hang time. Eventually, they will reach their peak of sugar, nadir of acid. Their rinds will become more loosely attached to the flesh inside, making them easier to peel. But also, the pulp inside will proceed to start drying out. At last, the fruit begins to drop to the ground and rot. What all citrus do not do, by the way, is ripen more after being picked from the tree. That is, the fruit will not get sweeter on your kitchen counter. Citrus are not “climacteric” fruit; they are unlike bananas, for example. We call this our “secret tangerine” tree. 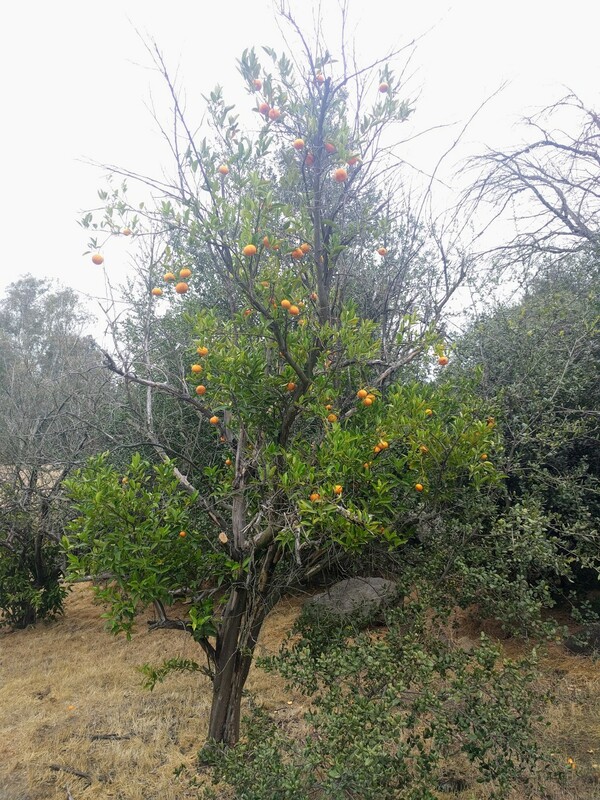 It’s an old tree that continues to survive and produce fruit in an unirrigated far corner of our property. 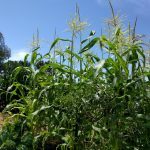 We don’t know the variety; we didn’t plant it. But over the years, we’ve discovered that it tastes good after all of our other tangerines, about the same time as our Valencia oranges. Still, every year, we go through the “pick and taste” routine until we really start the harvest. Here at the end of spring is that time, my children and I are very happy to report. The good news is that oranges and tangerines do not transform in flavor very fast. They don’t have a two-week window of good eating like some peaches, for example. 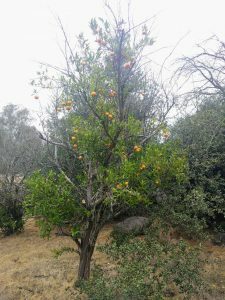 If you harvest citrus and like the taste, you don’t need to pick them all within that week, lest they rot and be wasted. All varieties that I know of “store” on the tree for months. Which months? 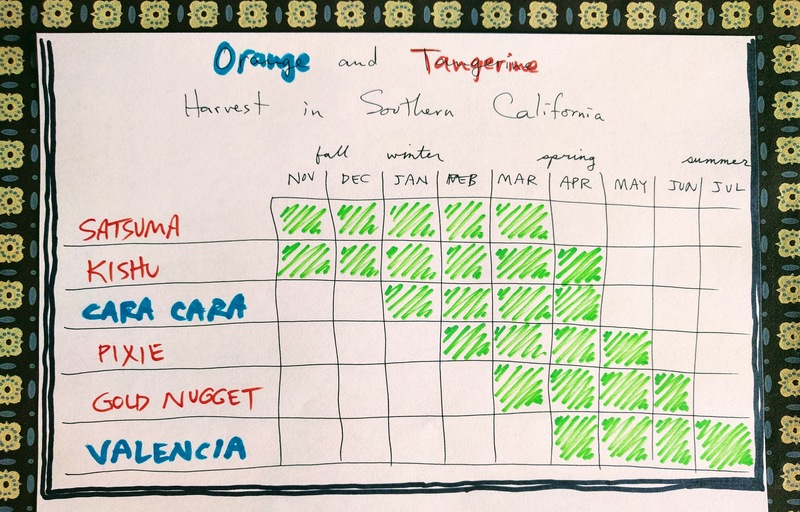 If you know the variety name of your fruit, you can get a rough idea of when to pick the fruit by using some of the harvest data within the University of California, Riverside’s Citrus Variety Collection. Or check out this chart from Four Winds Growers, located in Northern California. 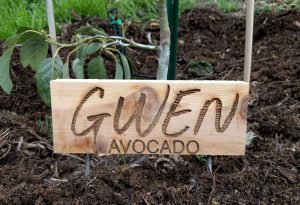 Maybe you have one of these varieties too. All the while, remember that your tree is not going to mature its fruit at exactly the same time as another in another location — even if it’s the same variety. 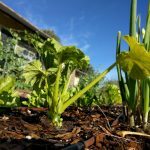 Your yard’s micro-climate is different. For reference, in inland locations where it heats up more as well as earlier in the year, harvest dates are earlier compared to locations close to the beach. So my mandarins taste sweeter before yours in Oxnard do. Yet, mine will become over-mature long before those in Oxnard. In addition, certain oranges and tangerines may never get as sweet as you hope if you live in sight of the ocean. I occasionally pick navel oranges from trees growing at the Salk Institute at the University of California, San Diego, near the Torrey Pines golf course. Those oranges are always so bland that they are barely worth eating. The weather every year is also different. No two years will have the exact same harvest dates. My Valencia oranges taste excellent here on June 1, 2018 whereas they usually reach their peak flavor at the end of June. This past winter was extraordinarily warm. What I like to do for my orange and tangerine (and all other fruit) trees is associate the harvest season with a birthday or holiday. Come to think of it though, I only use a version of this strategy for my Valencias. In my mind, I can never forget when to pick them because I grew up swimming in my grandparents pool during the summer and taking breaks beside one of their Valencia trees getting sweet, sticky juice all over my face, chest, and hands. 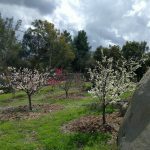 Do you prune the large plum trees? Old orange tree Dry fruit. I’m on the coast near San Luis Obispo. Bought a house with an established, unknown variety orange. The previous owners kept it to about 5 ft but the trunk is 8 inches the previous owners lived here 30 yrs. the fruit is not peelable. We cut them into quarters. Thing is they have been dry. Got a big harvest this year but the fruit hasn’t improved. Was going to remove it, then found your blog. Do trees get old and tired? Are the oranges dry now? Are you eating them this time of year? If they’re navels, they shouldn’t be drying out yet; they should taste very good about now (late winter). Are they sweet? Might the tree be a rootstock variety (e.g. sour orange)? 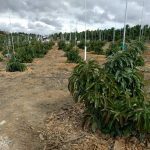 Citrus trees do get old and decline eventually, but as far as I know their fruit doesn’t necessarily decline in quality as they age. (In fact, many people say citrus fruit continually improves as the tree ages.) I’ve eaten from some very old citrus trees whose fruit taste excellent.